When a disaster strikes, it's just as critical to reach public safety personnel as it is to reach citizens. Learn how a mass notification solution can keep employees informed. Choose wisely. Your citizens' lives will rely on it. When you think of mass notification technology, you likely think of integrations with FEMA’s IPAWS and sending urgent instructions to hundreds of thousands of residents and visitors to warn of an impending disaster. 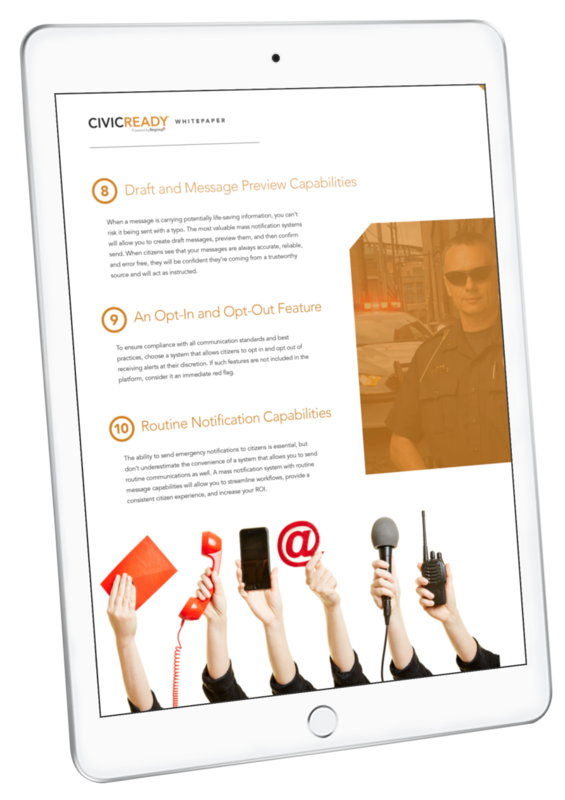 While emergency communications sent to citizens is a critical component of your public safety communication strategy, messaging and holding dialogue with your integrated team of public safety personnel before or after a local emergency is equally vital. If a local disaster impairs normal communication channels, you will need to rely on an alternate, reliable communication system. A flexible mass notification solution can help. What follows are three internal communication features to look for from a mass notification software system. In a crisis, local government administrators need to be able to alert and convene key personnel instantly. Instead of waiting for others to dial in to a conference call, choose a mass notification solution that provides conference bridge functionality to issue calls to relevant staff proactively. Such systems connect decision makers onto a unified call within seconds to enable urgent next-step planning. Whether to survey citizens, communicate between group members, or identify the location and availability of staff in an emergency, your mass notification system should empower you to allow email and text responses to notifications on a group-by-group basis. Ideally, you should be able to direct responses to the sender of the message, all administrators, or members of the group. Those at the scene of an event—such as safety personnel or CERT Team members—can use the functionality to request additional personnel and resources, confirm request approval, or provide timely reporting from ground zero. Local emergencies aren’t the only times when you may need to collaborate with public safety personnel or municipal administrative staff quickly and efficiently. Your mass notification system should allow you to communicate with your employees or specific departments. For example, allow your city administrator to send routine updates to relevant personnel about upcoming meetings, or allow your county’s department manager to send an internal notice to employees about an office closure. Use your mass notification system to send communications about special events or to announce changes to schedules during the holidays. The power of a mass notification tool is also valuable when you need to communicate last-minute reminders or instructions to teams or departments before events. CivicReady is built for local governments and their unique internal and external routine and mass notification needs. Designed with features that enable better messaging and dialogue of administrative staff, CivicReady is more than just an emergency notification tool. Our easy-to-use solution provides extensive administrator rights and detailed group settings with unlimited user groups so that administrators can target notifications to reach only those for whom the message is relevant. For more information, click below to take a self-guided demonstration of our powerful and flexible routine and emergency communication platform. As the CivicPlus Solutions Director for Public Safety Solutions, Ryan’s focus is on understanding the communication challenges faced by local governments in times of disaster, and ensuring the CivicReady solution offers the most efficient, and effective capabilities to allow governments to keep citizens safe and informed. Ryan leads market research initiatives relative to local government mass communications and provides local governments with needs assessments. She also oversees the consistency and quality of all CivicReady product implementations. Ryan holds a Bachelor of Science Degree in Business Administration with a major in Marketing from Kansas State University. 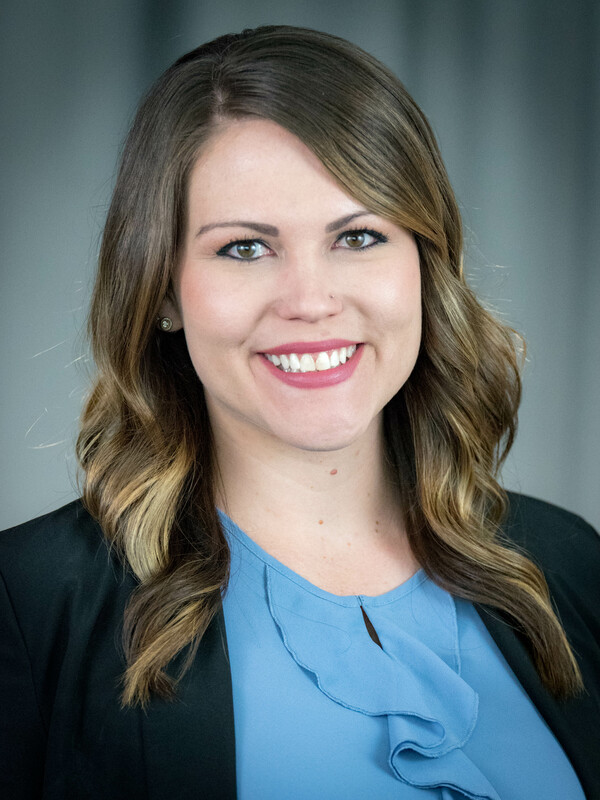 She has over eight years of experience in marketing and consulting with a focus in mass notification technology.